At a time when anti-immigrant sentiment is at its peak, nearly 100 Indian-Americans are on the ballot for the midterm elections and have emerged as strong contenders. While all eyes would be on the so-called “Samosa Caucus” -- the unofficial group of five Indian-Americans in the current Congress -- the emergence of such a large number of young Indian-Americans reflects the growing desire of this small ethnic community comprising one per cent of the US population. “It has been incredible to see the rise of Indian-Americans in US politics,” said Rich Verma, the former US ambassador to India. 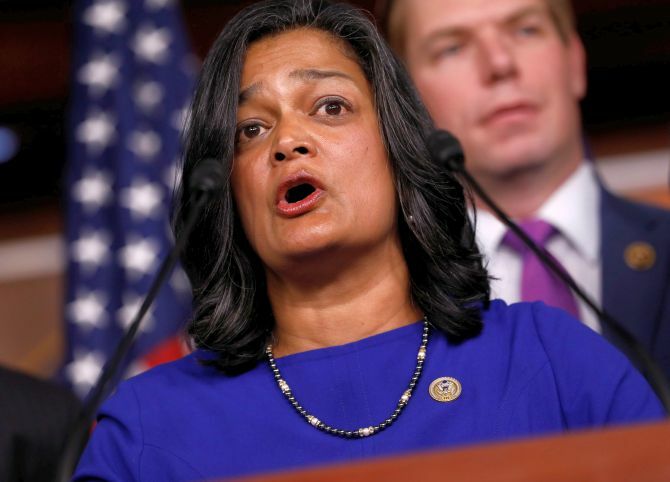 All the four Indian-American lawmakers in the present House of Representatives are expected to easily sail through on Tuesday’s midterm polls. Successful entrepreneur Shiv Ayyadurai is the sole Indian-American to be running for Senate. He has pitched himself as an independent against the powerful Elizabeth Warren -- a potential Democratic presidential candidate -- for the Senate seat in Massachusetts. But they are not all. According to some unofficial estimates, more than 100 Indian-Americans are running for various elected offices across the country. 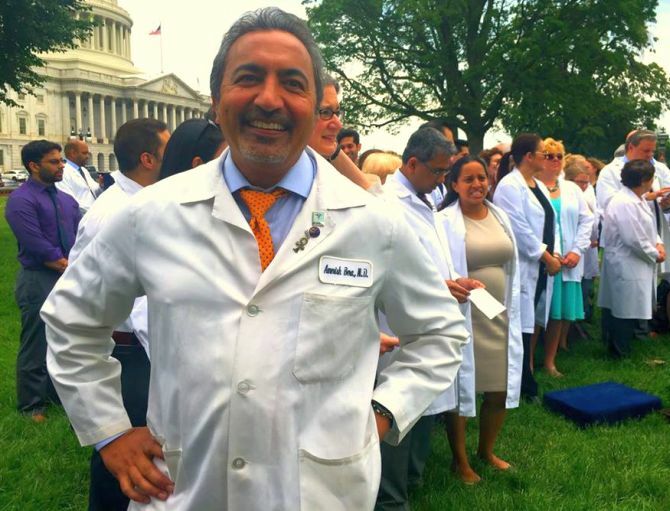 “This year, nearly 100 Indian-Americans ran for office in all levels of government, including some who could flip House seats from red to blue,” John Santos, spokesperson AAPI media of Democratic National Committee. “I hope that our number (in the Congress) increases,” Congressman Raja Krishnamoorthi said in an interview. 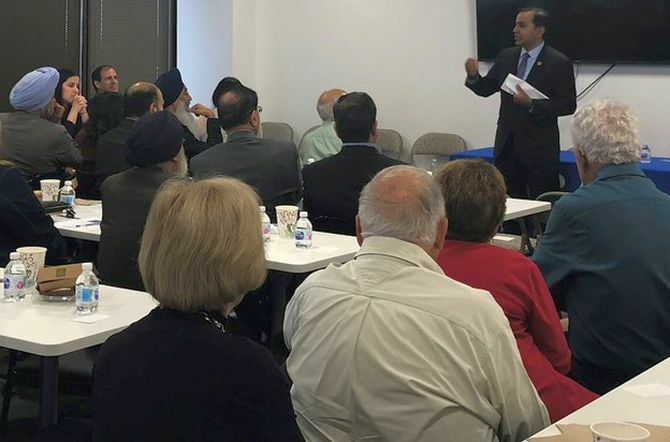 Krishnamoorthi, who has raised more than $5 million, according to latest figures of the Federal Election Commission, had coined the term “Samosa Caucus” in the Congress. 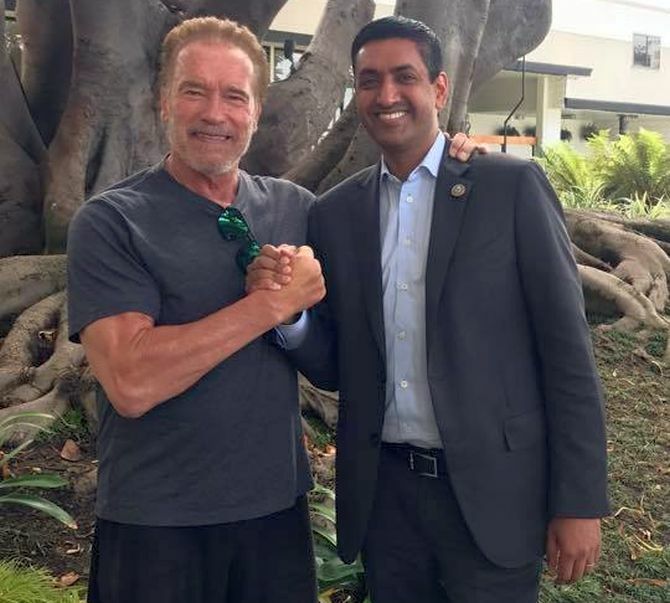 When Bera was elected for the Congress for the first time six years ago, he had hoped that in a decade, the number of Indian-Americans would be in double digit. If Desis for Progress are to be believed, the community is moving in that direction. At least three of the Indian-Americans are locked up in toss-up races – Tipirneni, Kulkarni and Pureval. The former American diplomat said he was disappointed and concerned at the “racist, anti-immigrant” closing argument made by the President Donald Trump and thinks this kind of fear mongering should concern all Americans, but particularly immigrants them. “We have to stand up and be heard at the ballot box so we can stamp out the fear and hate, and prop up the terrific crop of candidates who have shown the courage to run and who are running on a very positive, inclusive and pro-growth agenda,” he said. According to Santos, these candidates have put districts in play that Trump won because they are talking about the issues that matter to voters, like protecting access to quality and affordable healthcare and investing in higher education. “The DNC is proud to have the backs of Indian-American candidates running up and down the ticket who are working hard to engage diverse constituencies and expand participation of communities who often feel ignored and left behind,” Santos added.